To mark this year’s International Day of Older Persons, Jamiyah Nursing Home launched the Silver Stars Cookbook – Celebrating Our Talents in the Food Tradition on Saturday 22 September 2018. The Silver Stars Cookbook showcases more than forty recipes contributed by elderly patients of Jamiyah Nursing Home and volunteers. 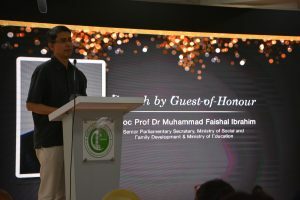 The event was graced by Guest-of-Honour, Assoc Prof Dr Muhammad Faishal Ibrahim, Senior Parliamentary Secretary for Ministry of Social and Family Development and Ministry of Education. 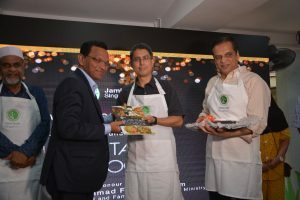 Prof (Adj) Dr Mohd Hasbi Abu Bakar, President of Jamiyah Singapore, Dr H M Saleem (Vice-President 1), Dr Isa Hassan (Vice-President 2) were also present together with around 300 guests. Other distinguished guests included: diplomats from the various foreign diplomatic missions in Singapore; Honourable Ministers from India, M.C. 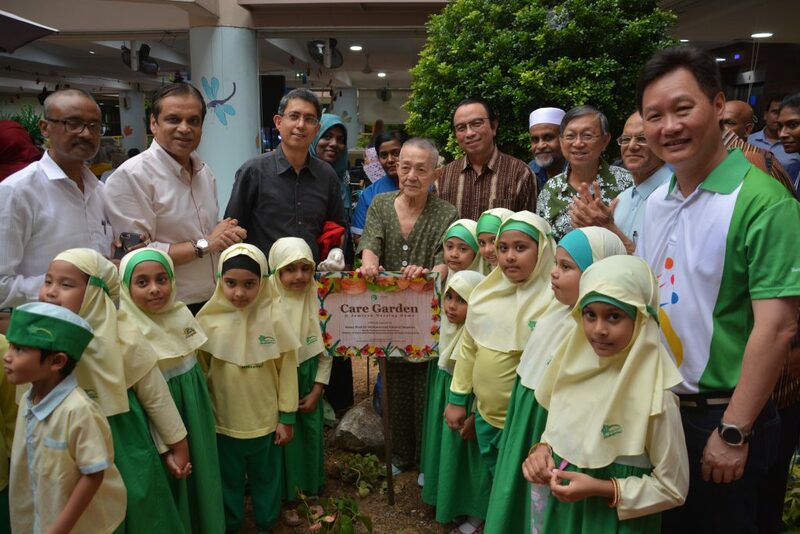 Sampath and P. Benjamin; Mr Koh Juay Meng (President of RSVP); Mr Andrew Chia, Chairman of the West Coast CCC and its officials; Ms Ng Ngoing Keng (Principal of Tanglin Secondary School); officials from Agency of Integrated Care, officials from the National Council of Social Services; and Haji Ahmed Buhari (Chairman of United Economic Forum) and children and parents from Jamiyah. 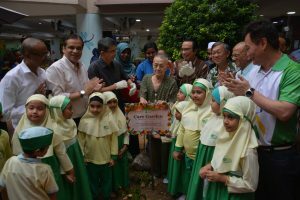 Assoc Prof Faishal also officiated the opening of Care Garden – a labour of love involving children from Jamiyah Kindergarten and their parents, its teachers, and the Home’s residents.